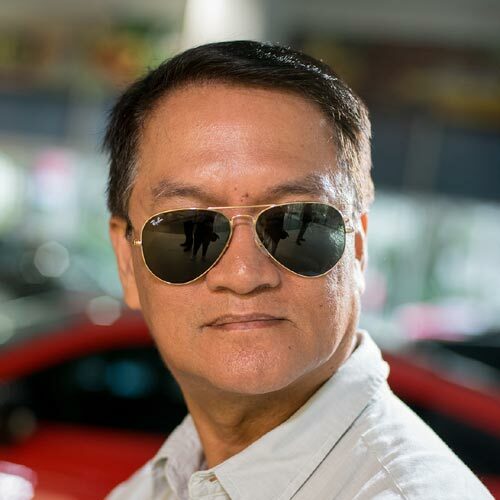 With only some three to four hours of sleep, actor, car nut and racer Dominic Ochoa showed up late at the rendezvous point at a gasoline station in Alabang, Muntinlupa City, with his riding buddies. “Sorry guys, my alarm clock is busted,” he said. Having just ended his hit fantasy TV series, My Super D, Ochoa was again itching for a ride, even just a quick one. He arrived wearing a colorful Irish-flag-inspired riding helmet. 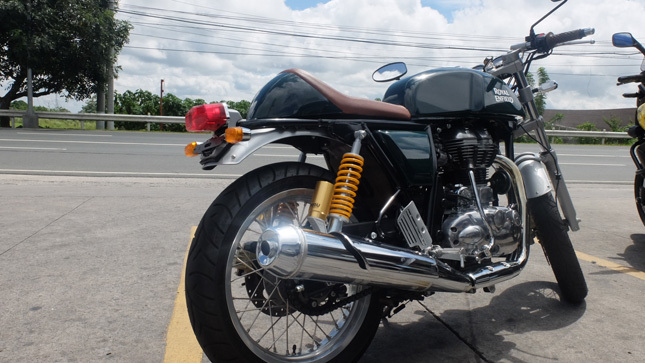 Mounted on his newly acquired Royal Enfield Continental GT, Ochoa was extremely excited for a day trip to Tagaytay. 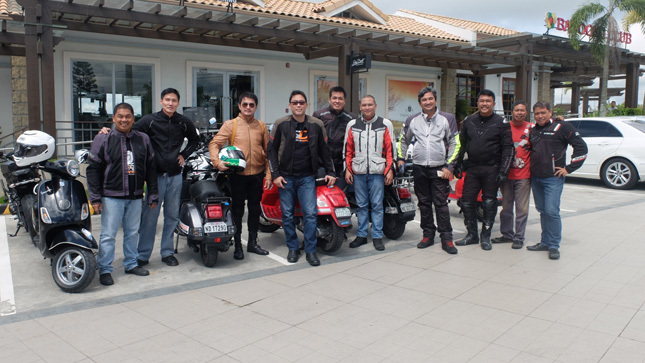 He looked forward to a sumptuous breakfast, reconnect with old biker friends, and then head back home to Paranaque for his family obligations. To complete the retro look, Dominic matched his Enfield with a brown Zara leather jacket, a pair of black skinny pants, and black boots with fuchsia argyle socks. Ever the fashionista, he even donned a chestnut brown leather Tumi backpack. Also quite chic were the rest of Ochoa’s group, who preferred Vespas over big bikes. This charming Italian brand is the actor’s original obsession. Despite owning and selling several bikes in the past, Dom, as Ochoa is known to friends, has held on to his retro-style scooter which he enjoys riding on both long and short distances. 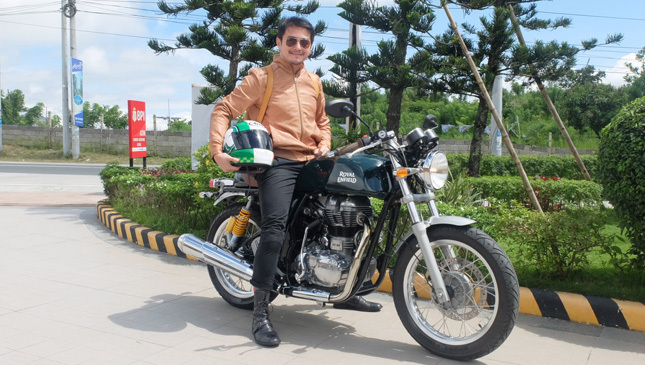 “Taong luma kasi ako (I’m a person who likes old things),” said the 42-year-old son of a former racing driver and vintage car collector Boy Ochoa. He purchased the Royal Enfield from his savings, but because of his busy schedule he only used it a few times, and only for short trips inside his village. 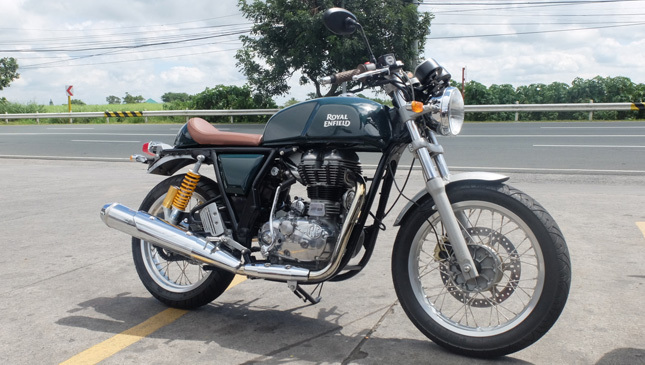 It was only when he rode to Alabang that Thursday morning that he noticed the strong vibration coming from the handle bar, emanating from its single-cylinder, air-cooled 500cc EFI engine. And he was deeply annoyed by it. However, he admitted that his association with the Continental GT was another classic case of love at first sight. 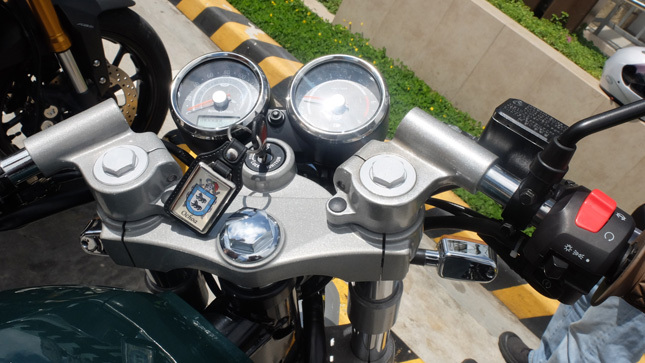 He loved its café racer styling, analog instrumentation panel, and chrome parts. The British Racing Green skin was Dom’s personal choice. He also loved the low handle bars and electric kick start. “But it vibrates too much. I felt it in my hands,” he said. Although propelled by a 535cc engine with a maximum power rating of 29hp, this Indian-made classic’s top speed of 130-140kph fell short of Ochoa’s expectations. He would also appreciate it if the Continental GT had an anti-lock brake system. But none of this has dampened his obsession with retro bikes. If his showbiz projects keep coming, he dreams of owning a Triumph Bonneville someday. We suspect that when he catches up on his sleep, he will see two-wheeled retro machines once he closes his eyes. 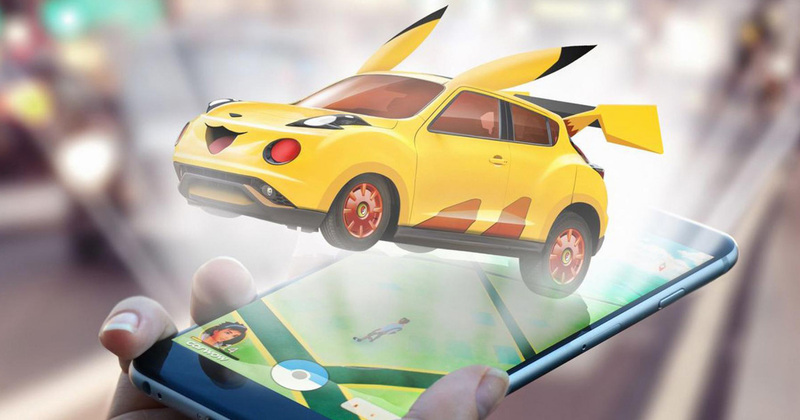 What would popular cars look like as Pok&eacute;mon?